1) Always upload a professional looking picture. LinkedIn represents a company’s owner, not the company itself, so a logo or picture of an office is not acceptable. Not having a picture is a definite drawback to being well represented on LinkedIn. Create an accurate and quality representation of yourself. It is not necessary for you to be in executive clothing. For example, if you run a construction company, a good picture of you would include you in typical workplace attire. Make adjustments to what is needed for your specific field. 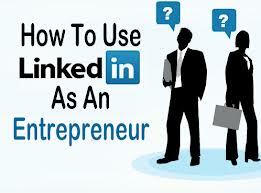 2) It is important, at least in the beginning, to contact only those people you know on LinkedIn. LinkedIn closely monitors the first few months and you should only ask for connections with those you know personally. Later, you can grow your network to those that are in similar positions or positions you would like to know more about. However, do not over follow. You want your network to stand for what you stand for in order to have a well represented LinkedIn site. 3) It is important to update your profile at least once a week. First of all, you want your LinkedIn to be fully up to date at all times. This is your living online résumé; potential clients as well as employers will expect it to be fully up to date. Secondly, anything you have updated on LinkedIn is sent to all of your followers weekly. This is a sort of free email news letter if you plan it correctly. 4) If you get constant messages or spam from one LinkedIn member, delete them. LinkedIn, just like any social media site has its share of those who abuse the system. 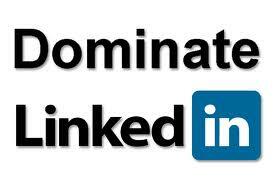 But LinkedIn gives you the tools to cut off spammers; take advantage of those tools. 5) Your summary is your elevator speech. It is your response to someone virtually asking, “Tell me about yourself.” Spend some real time on this summary, work on the title, and be concise without rambling. It is best to review this summary with several professional friends until you get a great one. A well represented LinkedIn site will tell me about your professional life. 6) Remember, LinkedIn is definitely not Facebook or Twitter. Do not relate personal updates about you private life. If it is appropriate news to talk about over a cubical wall in a crowded office, then it is appropriate for LinkedIn. A well represented LinkedIn site is all about the business you are in and why you are the best at what you do; do not complicate things with personal data. 7) Do not use the tools Twitter gives you to connect to LinkedIn. 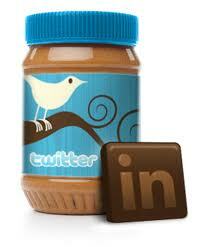 You do not want to post every twitter post to your LinkedIn updates. However, connecting LinkedIn to Twitter can be good since Twitter likes an overload of information. A successful and well represented LinkedIn site does not overload your connections with every Tweet of the day. 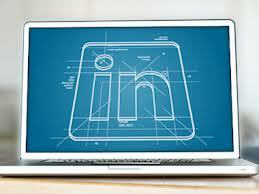 A properly run LinkedIn site gives just enough information to highlight you and your business. 8) Be very careful when declining an invitation as it could come back to haunt you later. If the request is from someone in a similar business or in a position of respect, you should either accept or archive the invite for later when you may run across the person and want to connect. 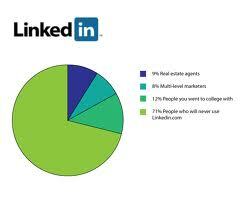 A well represented LinkedIn site will become popular; accept the complement in most cases and grow your network. 9) Do not ask everyone for a recommendation. Make sure the recommendation is coming from someone who knows you and will give a positive and glowing review. Remember, in order for your well represented LinkedIn site to become 100% complete, you must have at least 2 recommendations. The more quality recommendations built over time, the better, but get 2 right away. 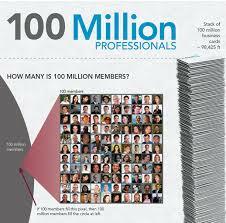 Your LinkedIn site must reach 100% to be able to fully take advantage of all LinkedIn advantages. 10) Spell check is not enough. Many individuals have spelling errors in almost every email they send; even the NY Times has several spelling errors a day, but not on LinkedIn. 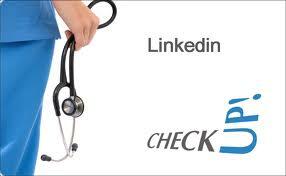 Have everything you post on LinkedIn checked and rechecked. LinkedIn is all business; spelling and grammar matter. A well represented LinkedIn site is letter-perfect.